Easy Art Prints is a curated wall decor destination for people who love art. We bring high quality, affordable design solutions to those who care about their walls. Discover some of the best emerging and established artists in our expansive online library. From classic Impressionists like Vincent Van Gogh and Claude Monet to contemporary artists such as Silvia Vassileva and Beth Forst, our experts have hand selected each artwork to create an assortment of styles and artists that reflect the best canvas art prints in today's market. For customer service inquiries or to initiate a return, please contact Easy Art Prints with questions at CLT.specialops@buildasign.com or (877) 419-6745. You can initiate a return for new and unopened items within 15 days of delivery for a refund. To qualify for a refund, items must be in new and unused condition with all original materials and/or accessories. If a return is not received at our processing facility within 30 days, it may be subject to a partial refund. You will be responsible for return shipping costs. However, if the return is a result of a fulfillment error, product defect, or damage incurred during shipping, we will refund the full cost of the merchandise. We will provide a pre-paid return shipping label for Non-Buyer's Remorse returns. All returns are subject to inspection, and if found not to be an error on our part, the return shipping costs will be withheld from your refund. SPECIAL RETURNS INSTRUCTIONS: Once the seller approves the returns request, they will provide a Returns Merchandise Authorization. The Seller cannot accept returns for used items. The Seller charges a restocking fee of 20% that will be withheld from the refund. The Seller will issue a partial refund up to 50% for used or non-restockable items. 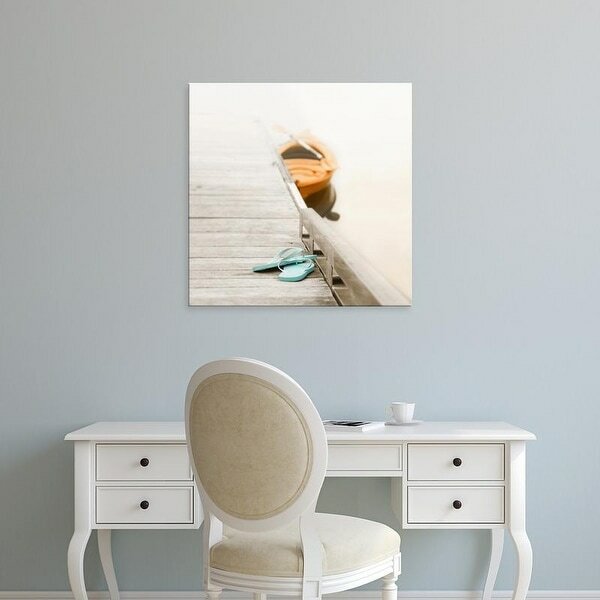 This museum-quality canvas print by Nicholas Bell titled "Summer at the Lake" is available in 4 options- Stretched Canvas, Modern Black Frame, Classic Black Frame, and Brazilian Barnwood Frame options. The Stretched Canvas option is beautifully wrapped over a 1.5" frame, and the Framed options are wrapped over a 0.75" frame. Produced using advanced printing equipment, "Summer at the Lake" arrives with a sawtooth installed, ready to hang on your wall. An accessible substitute to expensive originals, our premium canvases have vibrant colors and rich surface texture.